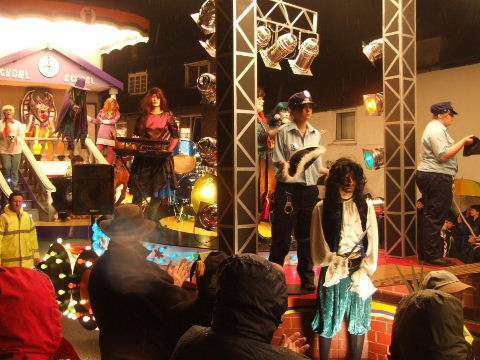 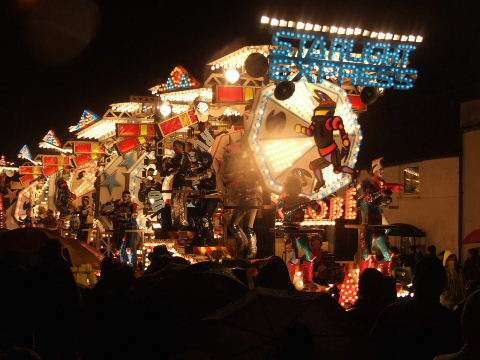 Annual series of illuminated night carnivals, held early in November. 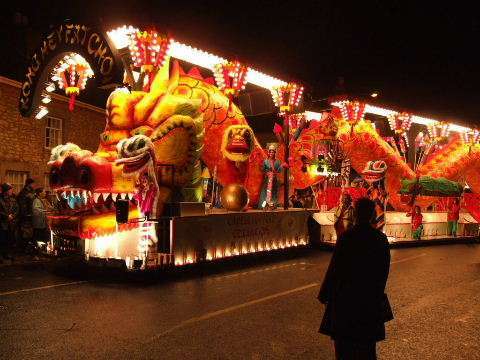 Imagine an enormous carnival float, 100ft long, and lit up brighter than a fun fair. 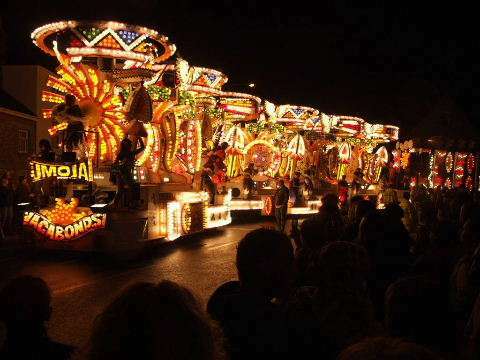 Now imagine up to 100 or more of these in a convoy. 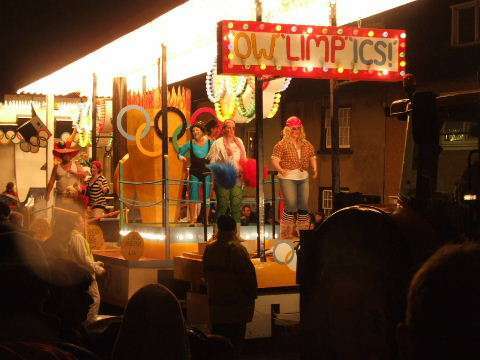 Now fill them with dancers, music and people in fancy dress. 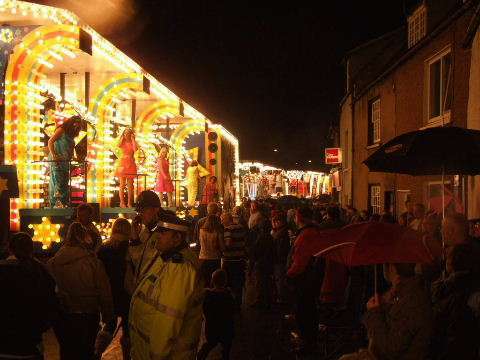 Now fill the streets with tens of thousands of onlookers and revelers. 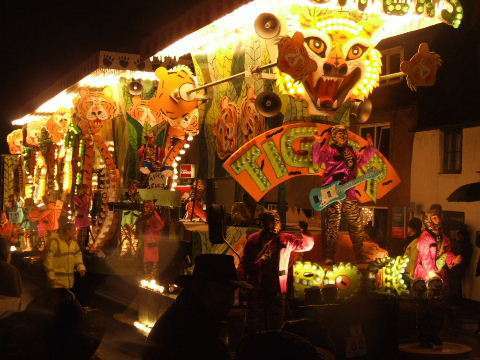 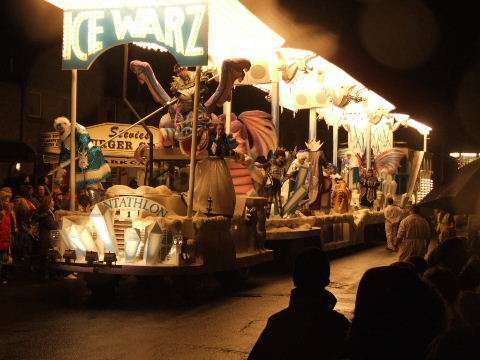 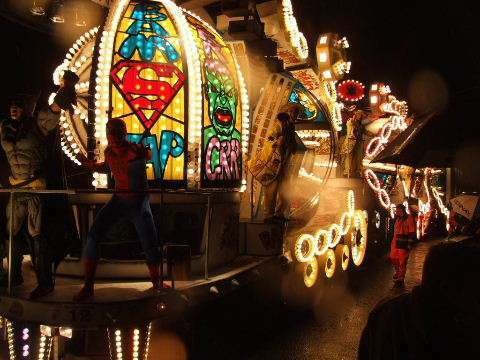 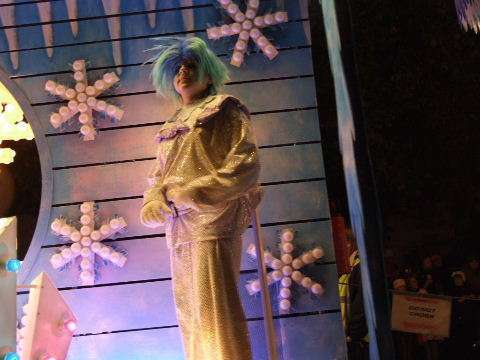 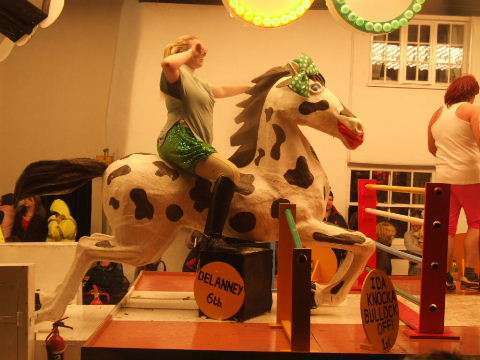 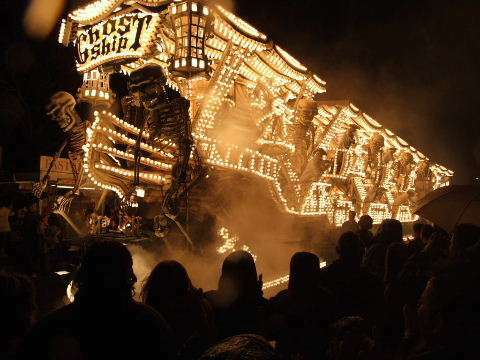 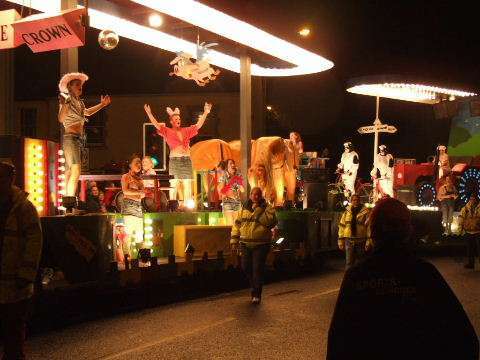 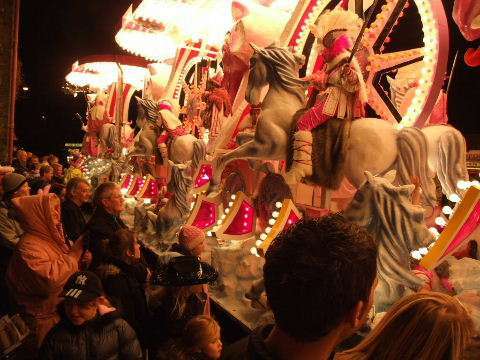 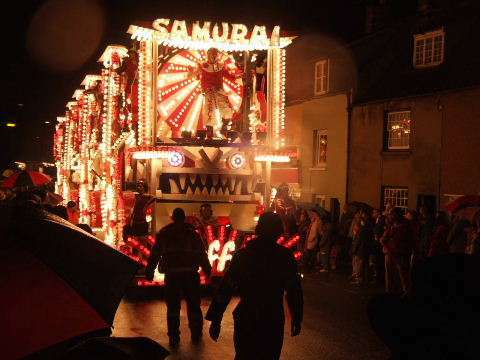 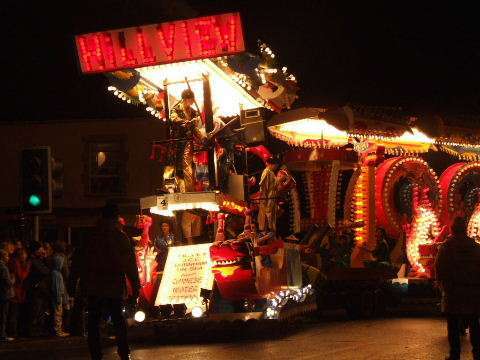 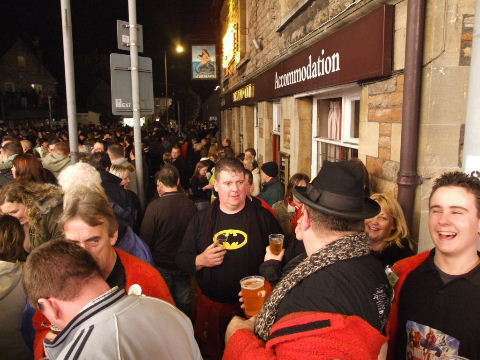 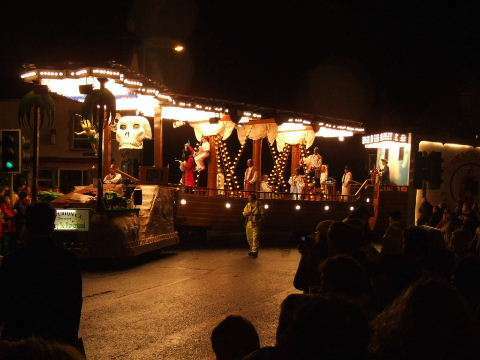 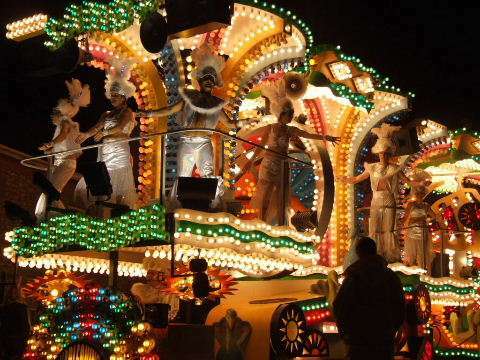 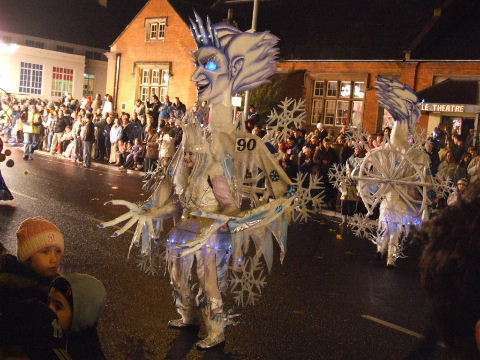 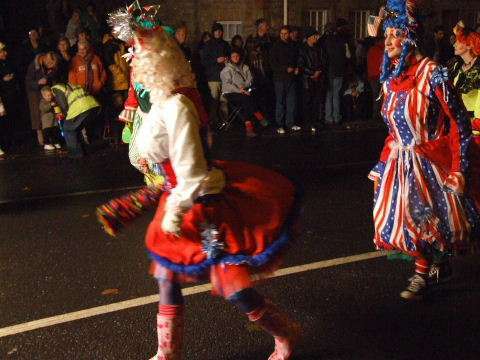 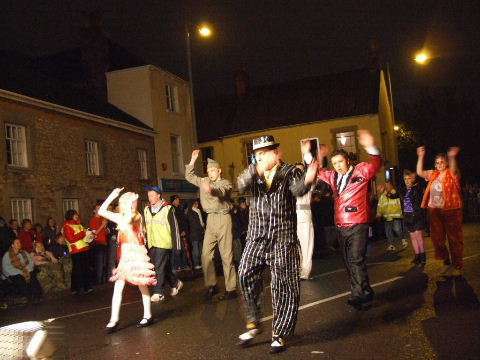 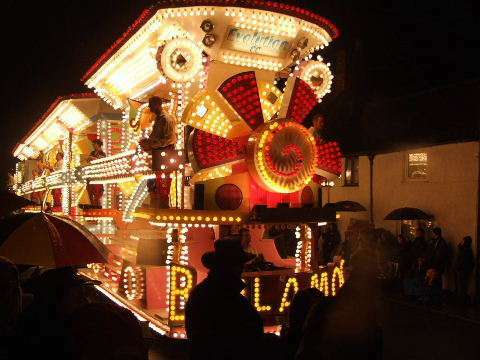 These are the Somerset Illuminated Carnivals. 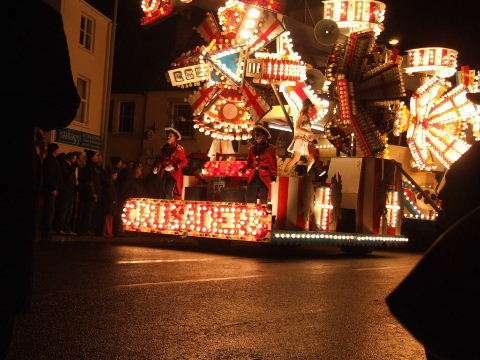 Organized by the Somerset Carnival Ring. 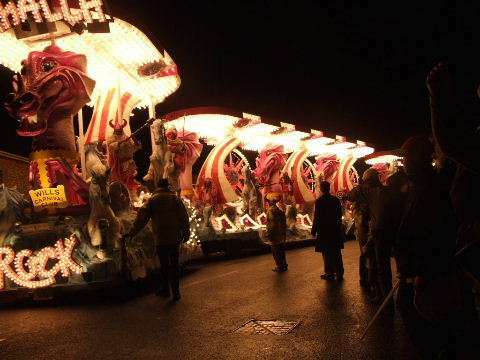 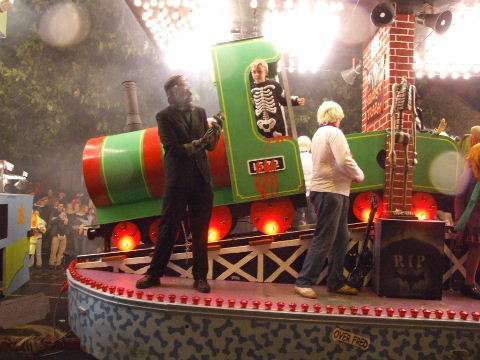 Many floats are 100 ft long, each illuminated by up to 30,000 light bulbs. 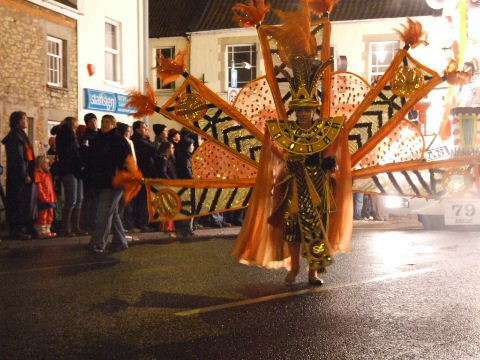 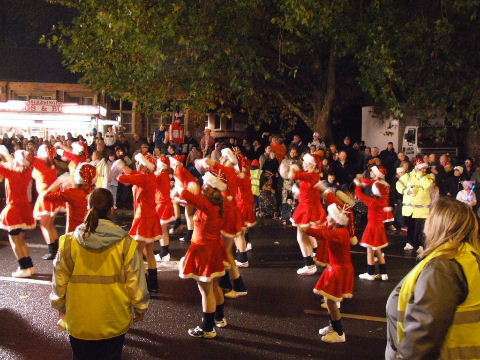 Parades usually start between about 19:00 and 19:30, and last late into the evening. 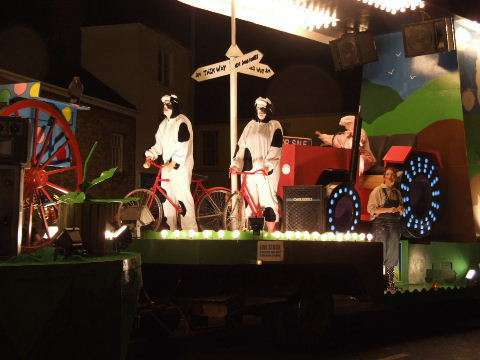 Pictures taken at Wells in Somerset.